Undeniably, Amazon through its true Kindle products have a great service in introducing the concept of e-reader modern first time to many people. 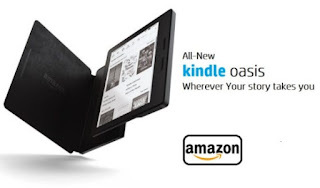 Over the years, the Kindle has undergone a number of transformations, whose peak is said to have occurred at the launch of the Oasis model in 2016 ago. However, right now, Amazon seems to have given Oasis a significant boost that best fits its name. 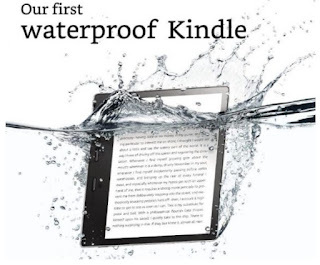 An all-new Oasis has been presented as the first waterproof Kindle. 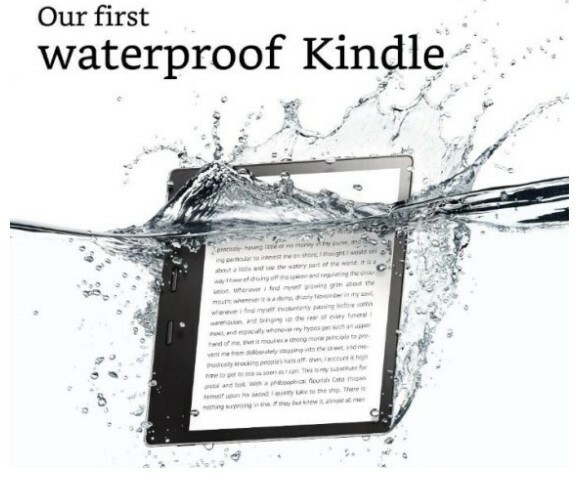 Thanks to its waterproof IPX8 rating, the Kindle Oasis is claimed to have immersion resistance of up to 2 (two) meters in water for 1 (one) hour. In addition, the device is reportedly also has resistance to salty water hitting so you no longer need to worry to take him for a walk and relax to the beach area of ​​course. The most important aspect of the Kindle that can not be ruled out is its screen support. Kindle Oasis is now equipped with a larger 7-inch 300ppi display panel (up from 6 inches at 300ppi), which allows it to load 30 percent more words per page than its predecessor. The display panel is covered with an ultra strong glass protector, and now all of its chassis has been made of aluminum. With a weight of 194 grams, Kindle Oasis is still 10 grams lighter when compared with the weight of its relatives, Kindle Paperwhite. While on the runtimes side, Kindle Oasis is claimed to be able to offer week-long operation, based on a half-hour readout per day without the support of wireless and Bluetooth connectivity, and light settings at level 10. The true battery life will vary depending on the settings light and wireless usage on the device. Streaming audio via Bluetooth will certainly be able to reduce battery life. But once you do not have to worry about the existing operations, and even thanks to the features of fast charging diusungnya, you can charge (charge) baterei from empty or zero percent to the full can be done in less than two hours. It has been marketed online through Amazon, for those of you who have booked the Kindle Oasis, will begin shipping on 31 October to come. 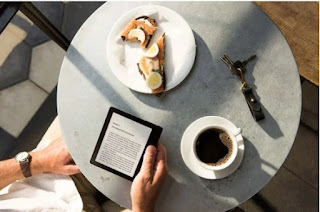 Kindle Oasis with 8GB and 32GB storage respectively for $ 249.99 and $ 279.99, while the Kindle Oasis with 32GB of storage is powered with integrated mobile connectivity for $ 349.99.